Most newer transmissions are computer controled and do not have any type of external mode switch. All the data is transmitted on the CANbus to the other computers. While this may be a great solution for the OEM manufactures it creates a issue when your looking to swap it into an older vehicle. We have developed a simple solution to this problem. 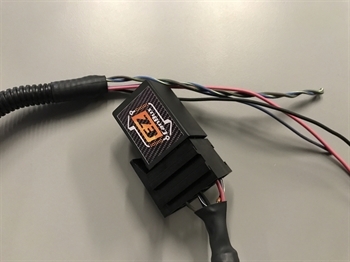 Our reverse lamp module is a simple 5 wire hookup and will provide an output for your reverse lights when the vehicle is in reverse.